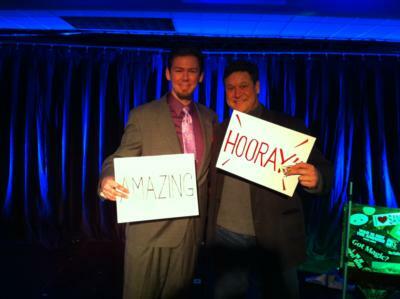 Markus Clegg: Magician, serving the twin cities metro area. With over 20 years of performing experience, he has the skills and talent to provide you with the entertainment you need for your event. Past clients include Kraft, WIXY 100.3, American Cancer Society, Christie Clinic Assoc., and many, many more. Markus Has performed in cities from Chicago to Las Vegas, and has entertained literally thousands of people all over the US. Markus offers a variety of magical options to fit your entertainment needs. 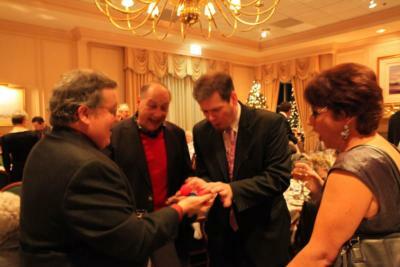 Close-up magic is the most popular and versatile form of magical entertainment available today. 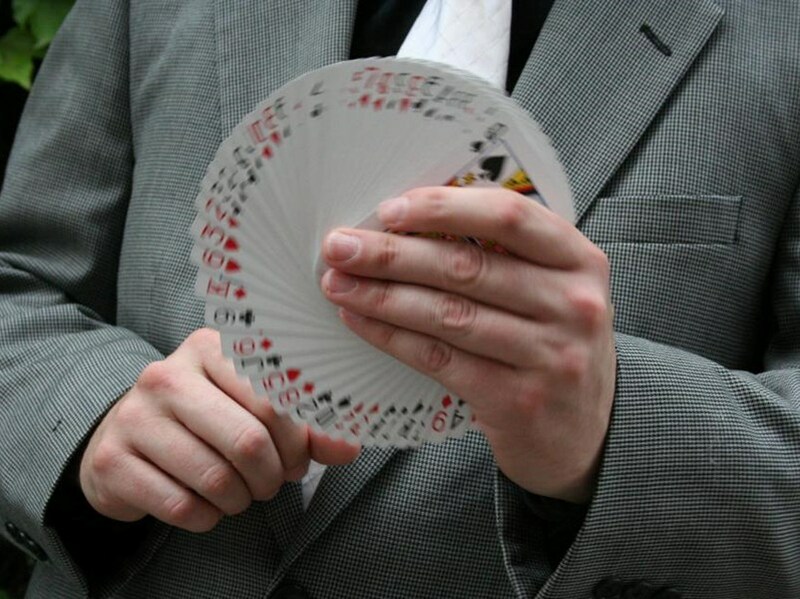 This particular style of magic is perfect for wedding receptions, mixers, cocktail parties, and other large events where people are mingling. Markus uses cards, coins, and pure sleight of hand to entertain your guest one on one and in smaller groups. He literally performs the magic right before their eyes and in their hands. Your guests will thank you for providing such personal entertainment. Stand up is a more formalized style of show, and is perfect for venues that require entertainment for a larger organized audience. Stand up is most often used for club meetings, dinners, and banquets. Markus blends comedy, magic, and audience participation into an experience that will amuse and delight. Your guests will laugh and applaud all while being amazed by mind blowing magic. Is it psychic phenomena or just psychology? Whether you are a believer or a sceptic this show will leave your audience astounded. Markus will demonstrate feats of mental agility. He will read minds and control thoughts, see the past and predict the future. Using a combination of intuition, modern psychology, and a touch of NLP, Markus will guide you and your guests through a world where psychic ability may actually exist. Marcus was fantastic for our Prom. The students really enjoyed the entertainment. Please note Markus Clegg: Magician will also travel to Minneapolis, Anoka, Dayton, Maple Grove, Osseo, Plymouth, Rogers, Arden Hills, Circle Pines, Hamel, Saint Paul, Cedar, Elk River, Hanover, Saint Michael, Albertville, Loretto, Crystal Bay, Hopkins, Long Lake.